AVS has been Manufacturing and Supplying very reliable and efficient Ammonia Cracking Unit for over three decades. 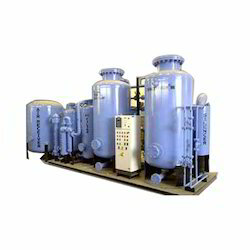 Our experience and knowledge of ammonia cracking is the best in the industry and we are looking up to as the industry leaders for these types of Hydrogen Generators. Ammonia Cracking Hydrogen Generators are Catalytic cracking units in which Ammonia (NH3) is disassociated to Hydrogen and Nitrogen Gas. Refrigeration grade Ammonia is from Cylinder or Storage Tank is used as feed. The Product Gas has 75% Hydrogen and 25% Nitrogen; this gas is further purified in a Molecular Sieves unit by removing un-cracked Ammonia and moisture.